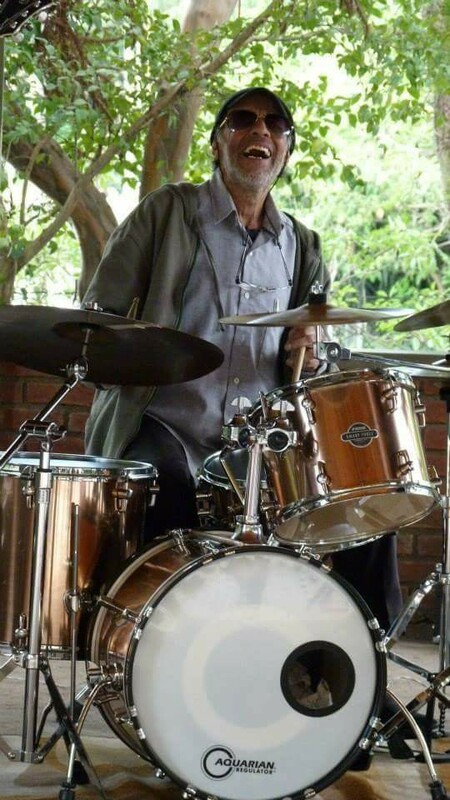 Besides the recent passings of Leonard Cohen, Leon Russel and Mose Allison, I'm very sad to know that Brazilian drummer and percussion giant Guilherme Franco has died in São Paulo, and was buried yesterday in Mogi das Cruzes, SP. The first time I heard him was on albums by Keith Jarrett. Then I saw him live in a fabulous perrformance with McCoy Tyner at the Rio/Montreux Jazz Festival @ Maracanãzinho in August 1980, in Rio. 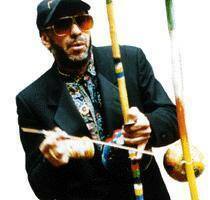 He lived for over 3 decades in NY, where he also was a member of groups led by Azar Lawrence (with whom he recorded the superb "Summer Solstice" album), Lonnie Liston Smith, Don Pullen, Paul Winter, Carlos Franzetti, Lee Konitz, Archie Shepp, Larry Goldings, Gato Barbieri, Arthur Blythe, Gato Barbieri, Woody Shaw, Carlos Garnett, Idris Muhammad, Buster Williams, Elvin Jones, Gaudencio Thiago de Mello's Amazon big band, Harris Simon and many others, having recorded with all of them. 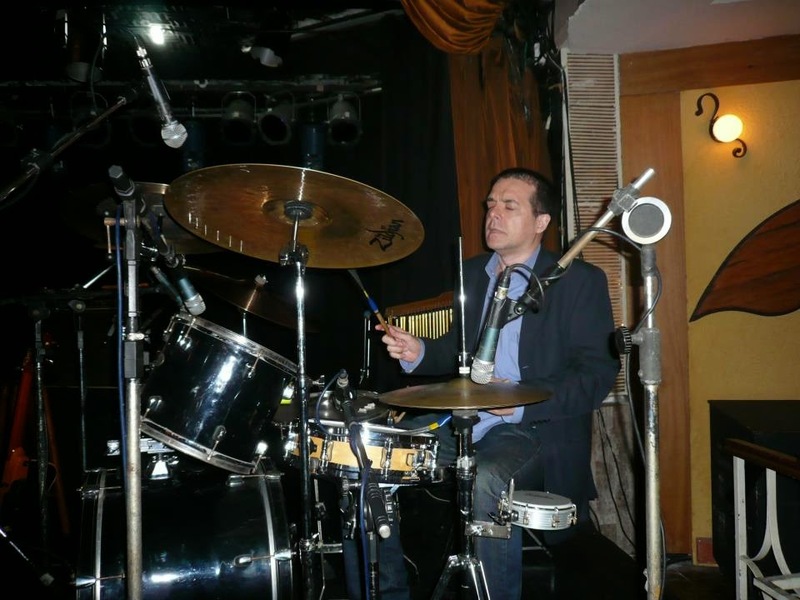 Franco also was the founder of the Pé de Boi band, a "branch" of the Pé de Boi Samba School; on their first album, Walter Wanderley did his final recording, and Lisa Ono appeared as guest vocalist. My condolences to his son Amê Franco and all his family. RIP. 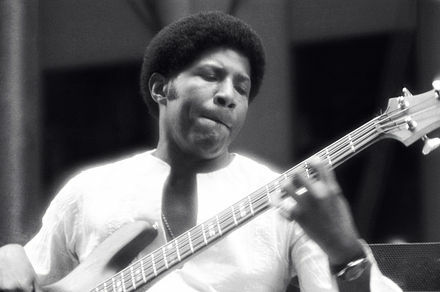 Bob Cranshaw (pictured by Tom Marcello) was the bassist on over 500 albums that WE love: Lee Morgan's The Sidewinder and Gigolo, Soony Rollins' The Bridge, Wes Montgomery's Movin' Wes and Bumpin', Quincy Jones' Smackwater Jack, Freddie Hubbard's Blue Spirits, Duke Pearson's How Insensitive, plus several sessions with Stanley Turrentine, Milt Jackson, Nat Adderley, Dexter Gordon, Horace Silver, Wayne Shorter, Grant Green and many more for Blue Note, RCA, Savoy, Prestige, Atlantic and Impulse! Bob was also the bass player on Antonio Carlos Jobim's Terra Brasilis (Warner) and Hank Crawford's Wildflower (CTI/Kudu), reissued on CD this past month in Japan. He has also played with Sonny Rollins for over 50 years. Rest In Power! Blu-Spec CD of the Month - "Stanley Turrentine: The Sugar Man"
Released for the very first time on CD format, Turrentine's "The Sugar Man" is a fantastic out-takes collection with arrangements by Bob James, Don Sebesky, Chico O'Farrill (his one & only session for CTI) and Deodato, featuring Kenny Burrell, George Benson, Ron Carter, João Palma, Dom Um Romão, Blue Mitchell, Harold Mabern, Rubens Bassini, Sivuca, Idris Muhammad, Billy Cobham etc. 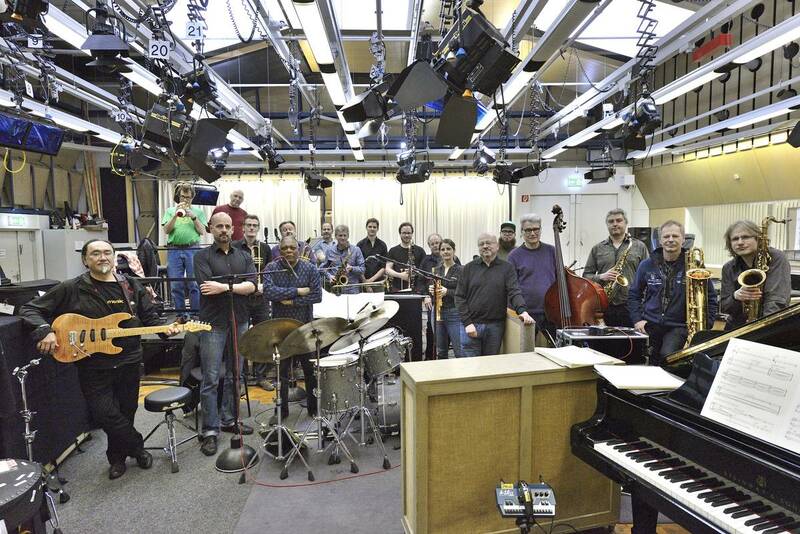 Of course, all tracks were recorded at Rudy Van Gelder Studios, between 1971 and 1973. AT LONG LAST the CTI fans will be able to listen the original mix of "Pieces Of Dreams" that was destroyed when that track was remixed for inclusion on the CD reissue of Turrentine's "Don't Mess With Mr. T" album). 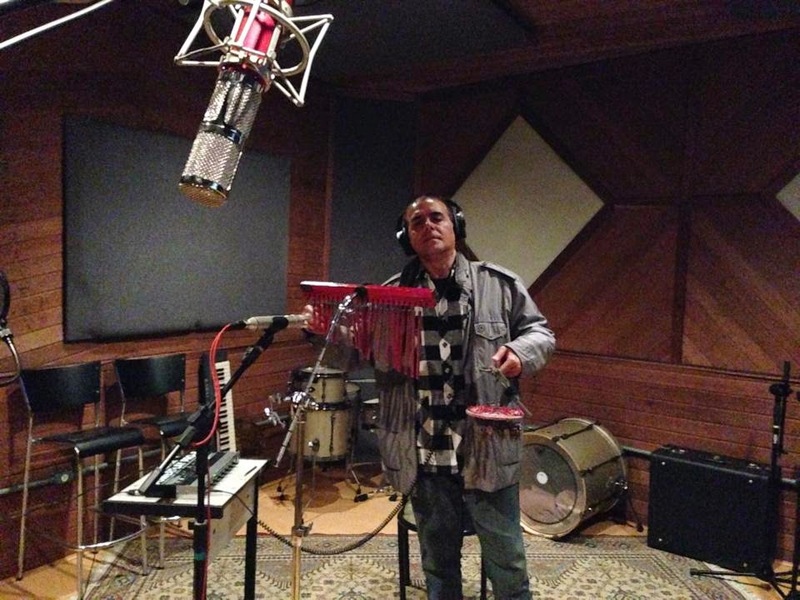 The original vinyl release was issued soon after Turrentine jumped from CTI to Fantasy Records, and released an album titled "Pieces Of Dreams" as the first project on his new label. 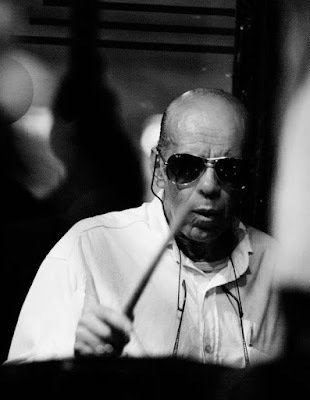 Creed Taylor remembered that Stanley had recorded the Michel Legrand tune in 1973, during the sessions for "Don't Mess With Mr. T" but the track never made the final album. When "The Sugar Man" was rush-released, CTI added a big red stamp to the front cover, on which was written: "Includes the Original Pieces Of Dreams." Curiously, many jazz radio stations gave airplay to both versions, and the two albums made the Billboard and Cash Box jazz charts. The jazzy CTI track, with a lush arrangement by Bob James -- featuring the infallible Ron Carter on bass, Idris Muhammad's backbeat on drums, Brazilian master Rubens Bassini adding a latin spice on the congas, and a perfect Rhodes solo by Harold Mabern -- is far superior to the more pop & r&b-oriented Fantasy track, arranged by Gene Page. 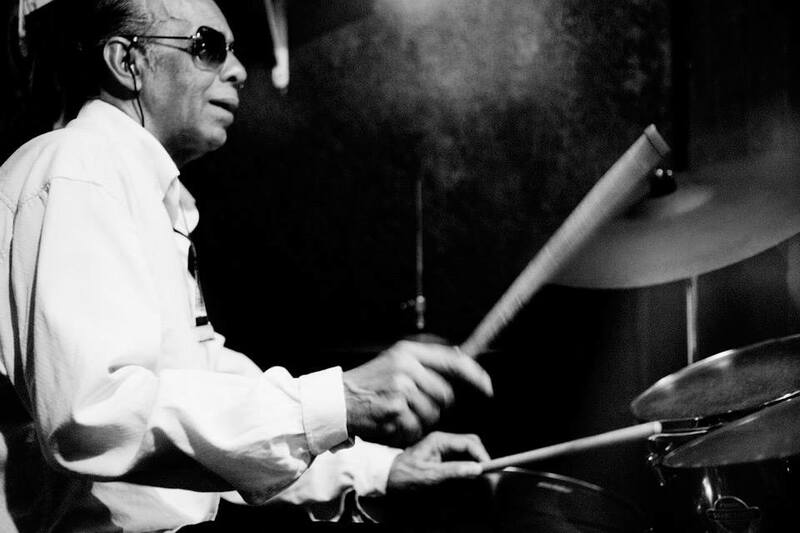 Milton Nascimento's "Vera Cruz" is a new mix (without the Hammond organ that Deodato had overdubbed for the original mix) of an instrumental track originally recorded in 1971 for the "Gilberto with Turrentine" album, arranged by Deodato with an all-star Brazilian rhythm section: Joao Palma on drums (what a brilliant brushwork! ), Dom Um Romão and Airto on percussion, Sivuca on acoustic guitar and, of course, Eumir Deodato himself on Fender Rhodes. Turrentine's own "The Stretch" is a nice 'n' easy blues, with Kenny Burrell on the guitar and Ray Barretto on congas, but I don't like the abrupt fade-out. Much more interesting, "Make Me Rainbows," written by Grammy winner John Williams for the movie "Fitzwilly" at the beginning of his career, and made famous by Ella Fitzgerald, receives an impecable rendition featuring Carter, Burrell, Barretto, drummer Billy Cobham and organist Butch Cornell. On two tracks, Sebesky and Chico O'Farrill joined forces as arrangers: "More," another movie theme from the Italian movie "Mondo Cane," and the haunting ballad "Just As I Am," with a wonderful warm performance by Turrentine. Sebesky provided the rhythm track arrangement -- played by Carter, Cobham, Barretto, Cornell, Dave Friedman on vibes, and guitar hero George Benson --, while O'Farrill added the horns score played by trumpeter Blue Mitchell (also on his only CTI session), reedman Jerome Richardson on sax & flute, and Curtis Fuller on trombone. 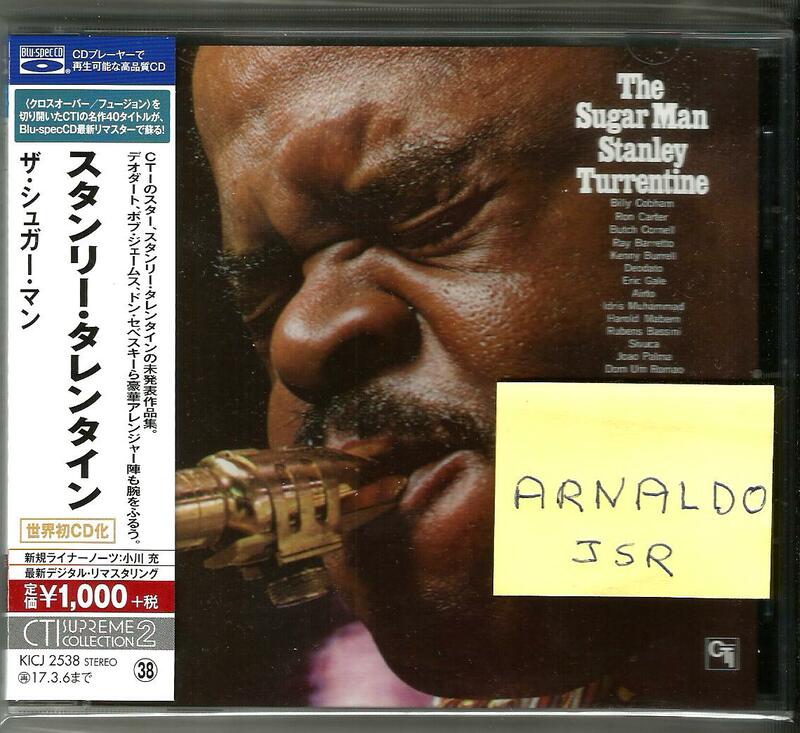 Highly recommended for CTI collectors and Turrentine's fans! Big Band CD of the Month - "Billy Hart & The WDR Big Band: "The Broader Picture"
A masterpiece! 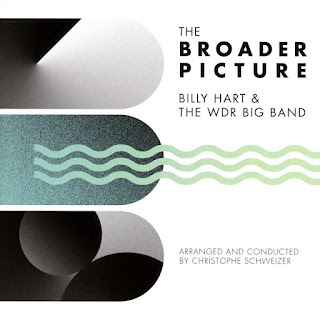 This recording is the first and only large ensemble representation of a selection of compositions by legendary Jazz drummer Billy Hart, who turned 75 the year of the recording. 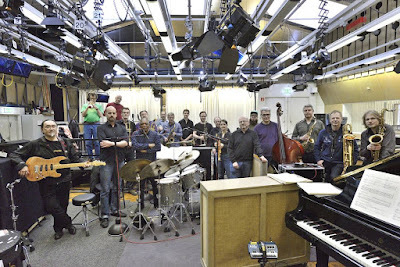 Eight pieces ranging from Billy's first ever composition to recent works were arranged by Christophe Schweizer, who conducted the WDR Big Band, with “Jabali” himself at the drums.